Surely this is just his representation trying to do him a favor by promoting him, but in this case the Vikings' second-year tackle might have benefited from staying out of the spotlight. 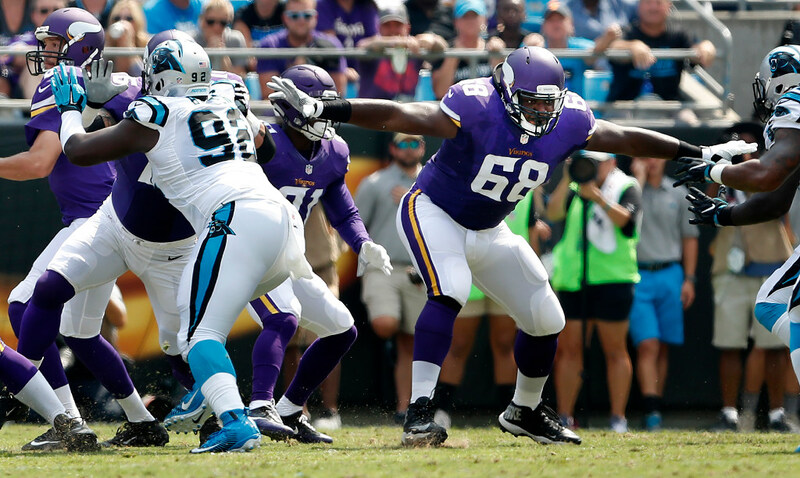 T.J. Clemmings has routinely struggled at offensive tackle for the Vikings the season after once again being pressed into duty because of injuries to Matt Kalil and Andre Smith. While the struggles of the offensive line are not solely his fault, he deserves a share of the blame. What he doesn’t deserve is a Pro Bowl vote. But that didn’t stop his agency, Priority Sports, from suggesting you throw some support T.J.’s way. Via a tweet Sunday morning, they showed you how to vote for him and everything. Vote OT @TAClemmings_90 to the 2017 Pro Bowl! Reaction has been, well, predictable. Many of the @ replies have been some version of a confused face GIF while others were even colder. Surely this is just his representation trying to do him a favor by promoting him, but in this case Clemmings might have benefited from staying out of the spotlight.